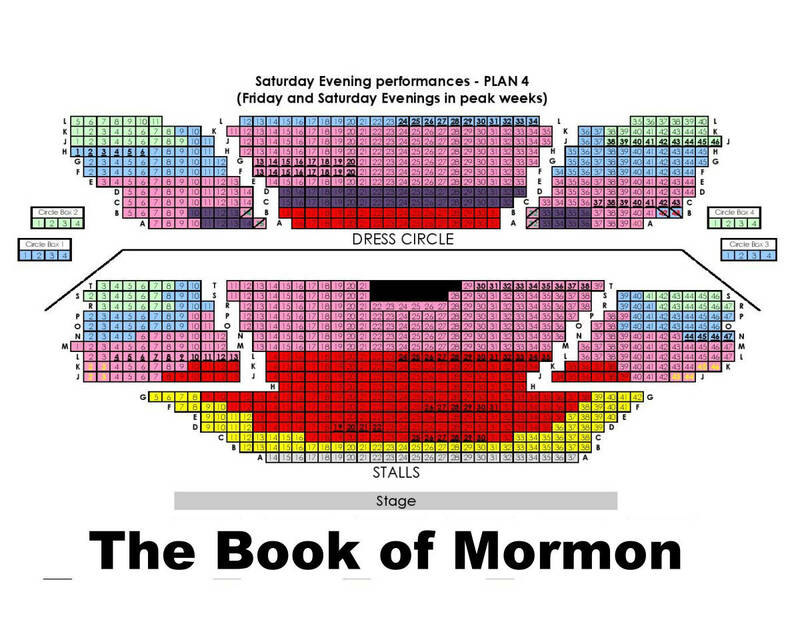 London Prince of Wales Theatre Seating Plan: Seating for The Book of Mormon includes Stalls and Dress Circle. NOTE: Seating may vary from time to time and from one production to another and these changes may not be shown on the seating plan below. Book tickets for The Book of Mormon at the Prince of Wales Theatre.